The NSW Department of Primary Industries (DPI) has investigated reports of a fish kill at Lake Inverell, on the Macintyre River. 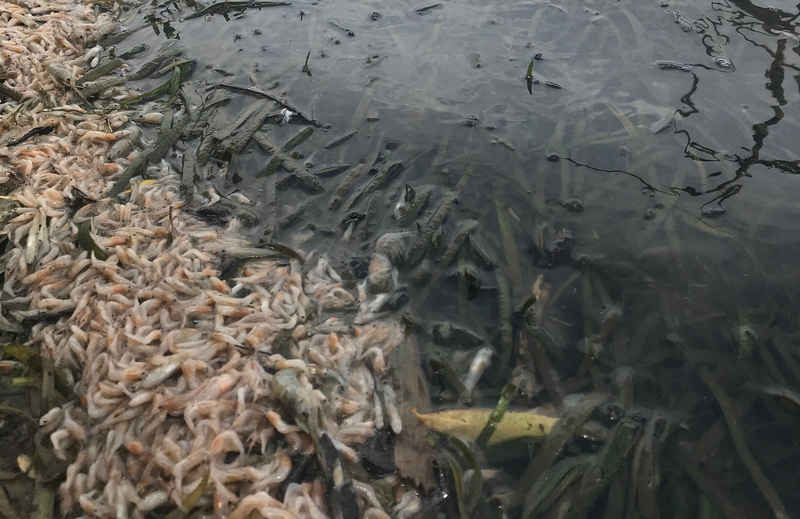 Thousands of fish, mainly juveniles between 2cm and 10cm in length were found washed up on the banks of the Lake yesterday, with some larger fish also recorded further upstream in the lake. Species included golden perch, Murray cod, eel tailed catfish, carp, gudgeon and freshwater shrimp. Initial reports suggest the fish kill was the result of low dissolved oxygen in the Lake. The water was also visibly stagnant and a high algae content was observed with a dark green colouration to the water. DPI will continue to monitor the situation in collaboration with local council and WaterNSW. Fisheries Officers will inspect the Lake again today amid reports of larger fish being affected upstream. Much of NSW is currently experiencing heatwave conditions and the ongoing drought across western NSW has resulted in fish kills in a number of waterways recently. With these extreme conditions expected to continue over the coming months it is likely more fish kills will occur without significant rainfall to generate replenishment flows. Community members are encouraged to report any similar incidents or observations through the Fishers Watch hotline on 1800 043 536.